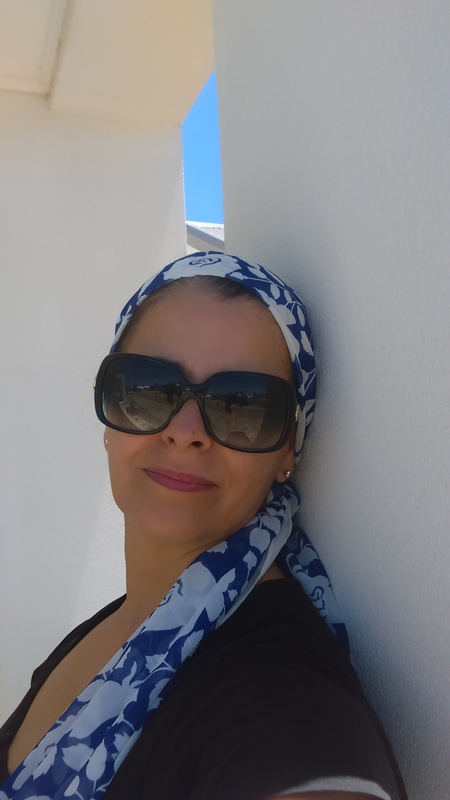 This is your special invitation to visit my YouTube channel where you can watch me preparing some amazing Hellenic recipes. 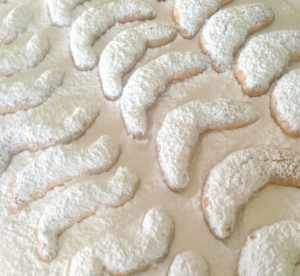 The latest instalment on my channel is the famous Greek Shortbread known as Kourambiedes. For those who already have my award-winning cookbook, Greek Life, you can find this aromatic and mouthwatering recipe on page 122. Impress your family and friends with this melt-in-your mouth, delicate Greek shortbread! Open this link to watch a short demonstration. I value your time and my time and that means all my videos are around 2 minutes or less and set to music, allowing viewers to experience an uplifting and inspiring demonstration. You see, I like my videos short, sharp and shiny, making them entertaining and easy to watch whilst protecting your time and mine. Let me know your thoughts, or any suggestions you may have. 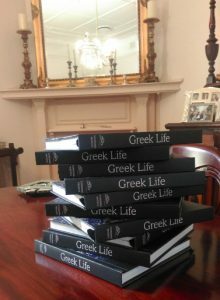 Greek Life is now in limited supply….so if you haven’t added this timeless celebration of Greek culture and food to your collection, now is the time to do so. You’ll find an entire section on lent and fasting, Easter traditions, and delicious recipes that represent the Mediterranean Diet. Order here ! I’m feeling the inspiration and creativity that comes from traveling. When we travel we are open to new experiences, new tastes, new sights, new smells, new rhythms, and to new people. We met many lovely people along the way from a talented French man who was on our train returning home from Venice to France. I simply adored hearing him say “oui madam”!!! He had just finished his engagement as MC and as a performer at Carnevale in Venice. Those closest to me know that I would love to attend Carnevale in Venice and when I learned that our plans in Italy meant we couldn’t attend I felt just that little pang of sadness. But the universe brought Carnevale to me, and I experienced it through his amazing photos and stories. The colours, the costumes, and the make up that took more than two hours to apply, allowed the experience to unfold right before my eyes. Such a gift. Then we met a wonderful, gorgeous Italian taxi driver with a beautiful presence, sparkling blue eyes and heartwarming smile. He is also a model (with dignity), is moving into his new home and is now working on decorating and styling plans with his interior designer. We were so impressed with this young (33 year old) man that we engaged his services for three more taxi trips. In conversation he told us his birthday was coming up and it just happened to coincide with mine! That’s the third person to come into my life who celebrates on the 26th. What surprised me the most is that he messaged my husband all the way from Italy to wish me a happy birthday!!! Travel expands our thoughts, our relationships and makes one realise that we have more in common than we do differences. Finally, in the words of Mark Twain…. “Travel is fatal to prejudice, bigotry, and narrow-mindedness”. 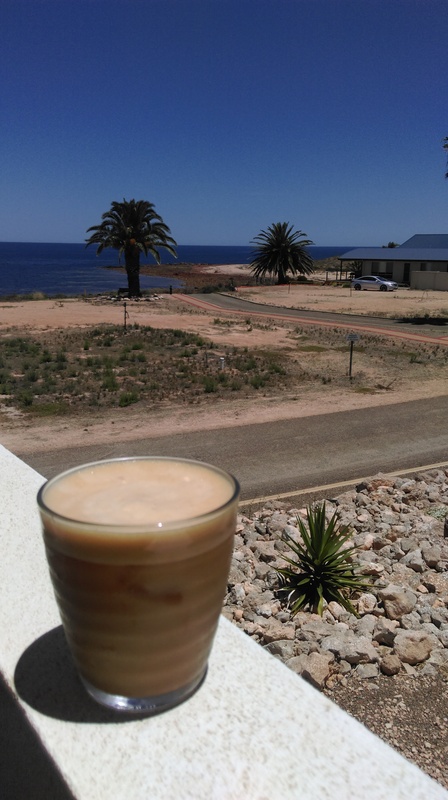 I’m super excited to have met the lovely Jane who has opened a pop-up shop in the seaside township of Wallaroo. You can find Villa34 just outside the new Foodland in the mall, and if you step inside this lovely little store you will be amazed by the wonderful range of beautiful homewares, fashion, coastal themed decor, and of course you can get your signed copies of Greek Life. Villa34 has a bricks and mortar store in the Riverland at Barmera as well as the pop-up store that is located at Wallaroo for the summer. I’m so happy to have met Jane, who is a kindred spirit, and is deeply passionate about home styling, interiors, and fashion, and I’m proud to have my book Greek Life stocked in her seaside pop-up store and at Barmera in the Riverland. Take some respite from the heat of the day to be inspired by this lovely shop that is so conveniently located. 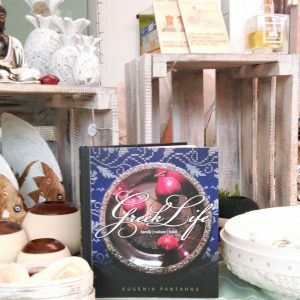 Do drop in to see Jane to get your signed copies of the Gourmand award winning book Greek Life, and to get something special for your home. Support local. Buy local. Support those who support me. I’ve had some wonderful days at my beach house, dipping my toes into the sea, soaking up some sun, enjoying the salt on my skin, and sipping the amazingly delicious Greek style icy cold coffee frappe. I’ve spent time with my husband, prepared delicious meals and enjoyed the ‘catch of the day’ from his many hours spent fishing. Long walks by the sea helped center my thoughts and my spirit. I ate, drank and celebrated the festive season with our neighbours and indulged in a few too many treats! I planned my year ahead and reflected on the year that was. 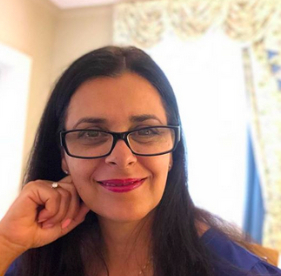 I quietly celebrated within my heart the joys and accomplishments for me, both as an author and as a professional, and took the valuable time to reflect on the beautiful man my late father was and just how much I’m missing him. This meant that I was a little late in creating my calendar. So here it is, and I’m absolutely thrilled to be bringing you the first free, downloadable and printable calendar for 2018. You can find the link at the bottom of this post. As you know, I love thought inspiring philosophy, and I simply love to be organised. As a way to say ‘thank you’ for joining me in the celebration of Greek Life, this simple yet sophisticated calendar will add a touch of glamour to your home or office. I like to put mine on a clipboard in my office and I also keep a copy on my fridge. The free calendar from Greek Lifestyle offers an inspiring quote, it has plenty of room to make notes for each day of the month, includes a list of the 3 things on your weekly to-do-list, plus a little space for the things that you mustn’t forget. I do hope that you enjoy this gift from me to you! Spread the word, and let you family and friends enjoy the experience too. You can download your free printable calendar here. I enjoyed some ‘on-air’ fun with Malcolm Haslett on the ‘Our Time’ program on Channel 44 discussing the story behind Greek Life. 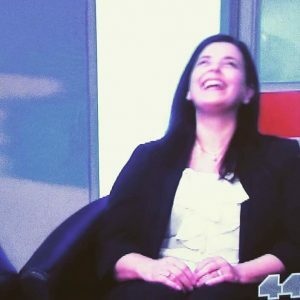 This television interview was an amazing experience and one that I felt quite surprisingly relaxed with. 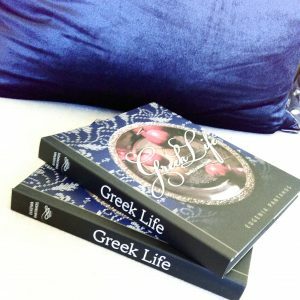 I loved sharing some of the beautiful images and favourite recipes from my book Greek Life as well as the story of family and explaining just why this book is considered an important anthology by those for whom Greek culture means something, but also the wider community here in Australia and overseas. The journey so far has been amazing, and one that I was blessed to share with my late father, my husband, my children, and extended family. Since doing this television interview, I have had a great response from those who already have the book and from those who wished to add it to their collection. 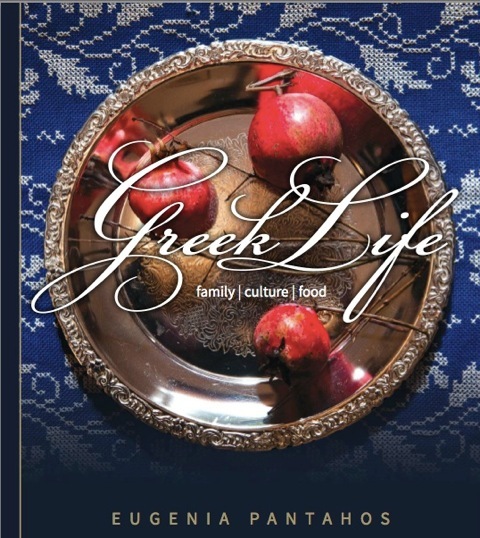 Greek Life is stocked in around 30 stores nationally, and has been embraced with warmth and love. Join those who have added this award-winning book to their collections. There is limited stock available of the exclusive hardcover that is in it’s second print run. 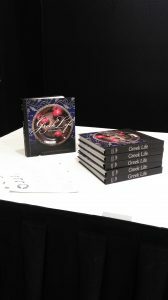 I won’t be doing another self-published print run….so really….now is the time to secure copies for yourself and your loved ones. Pass on the lessons, recipes and traditions to the future generations of your family. Email me to place orders for multiple copies, or single copies can be purchased here. I have some amazing news, actually its really, really exciting news that I’m just bursting to share with you. My book titled Greek Life (family, culture, food) won two, yes, two categories, one for MEDITERRANEAN and the other for SELF-PUBLISHED, in the prestigious Gourmand Cookbook Awards national competition for Australia. 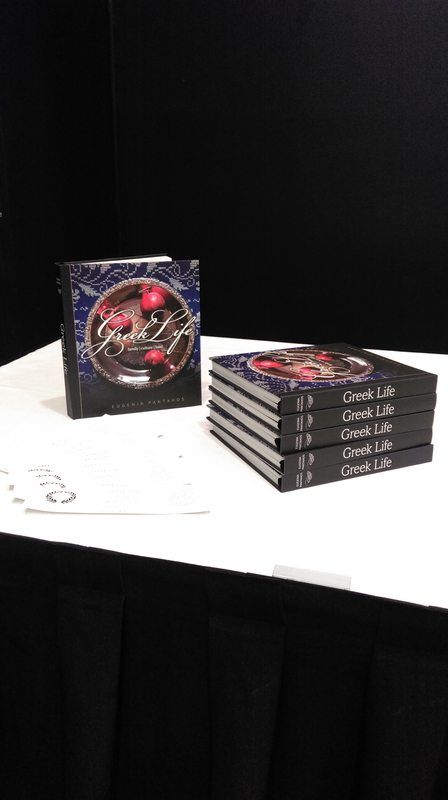 This is a defining moment in the journey of Greek Life and for me, as a first time author. 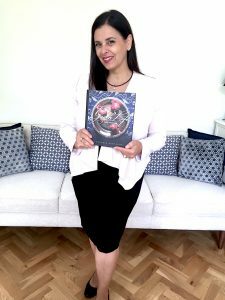 My self-published book that was put together with so much love and with a vision to pass forward the beautiful and meaningful Greek traditions and mouthwatering recipes, threaded together with the story of family, thought inspiring philosophy and full colour photography, will now compete in Gourmand International Cookbook Awards in the same categories against other countries for the Best in The World. 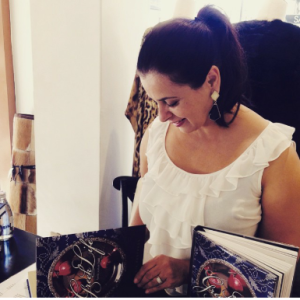 As a Greek Australian cookbook writer and publisher I could only have imagined the journey that would transpire, from being a freelance contributor to a magazine, the recipient of a leadership scholarship, and and invited MC and speaker at various events, and now the recipient of the Gourmand International Cookbook Awards in Australia. Having come this far with my journey as an author of a book that I envisioned to be the best book on Greek culture to exist, is amazing, but to be acknowledged in this way is even more amazing. Now I’m waiting for the Gourmand Cookbook Awards certificate to arrive together with those lovely red stickers with the words ‘winner’ that I can proudly place on my book, but I think I’ll place them on the first page, beside my signature! Greek Life is a high quality hardcover edition that is now in its second and final print run. That means stock is limited, so now is the time to place orders for this keepsake edition. 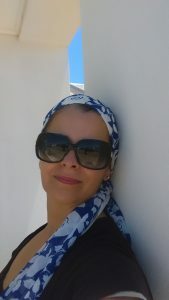 It is a beautiful and meaningful gift for those for whom Greek culture means something, the foodies, the cooks, the thinkers, the travelers, and the coffee table book lovers. Order your copies at my online shop or email me. Wish me well in the International competition. Anyone fortunate enough to sample a homemade Greek dolmades recipe, or as we sometimes affectionately call them, dolmadakia, only know too well the absolute delicious experience of savouring each mouthful of these delicate rice and herb stuffed grape vine leaves. Usually served with a squeeze of lemon and a dollop of natural yoghurt, you can’t go past just one. The flavour is lively and zesty and these delightful little morsels literally dance on your tastebuds! Here’s a little video I’ve put together on how to make Greek Dolmades, and if you like what you see, feel free to subscribe and be kept up to date. Enjoy!